At the trailer launch of her upcoming film Sui Dhaaga, Anushka Sharma finally opened up about being trolled for her recent photograph with the Indian cricket team. Anushka Sharma breaks silence on being questioned for photo with Team India At the trailer launch of her upcoming film Sui Dhaaga, Anushka Sharma finally opened up about being trolled for her recent photograph with the Indian cricket team. Image credits: BCCI/Twitter The trailer of Anushka Sharma’s upcoming film Sui Dhaaga: Made in India released today. At the launch, the proverbial elephant in the room was finally addressed when the actor was asked to react to being trolled for getting photographed alongside husband Virat Kohli and the rest of the Indian cricket team at the Indian High Commission in London. 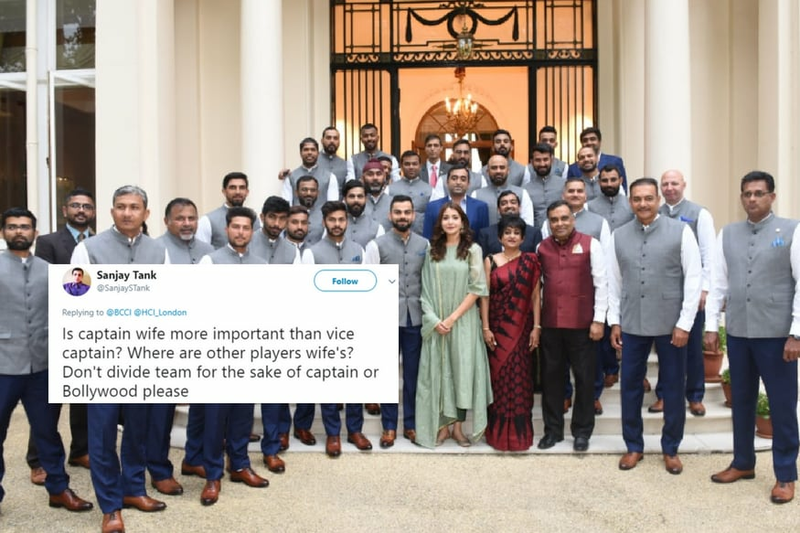 Anushka’s photo with team India went viral after the Board of Control for Cricket in India tweeted it on Wednesday, with many questioning her presence in an official team photograph. Meanwhile, on the professional front, Anushka will be seen in Zero after Sui Dhaaga.